In this episode we interview Hadar Orkibi, the principal of MFI Holding. Hadar is a US Citizen, a full-time real estate trader and investor who lives in New Zealand. His real estate background started helping in his father’s rental properties in Israel. Tune in to know more about how he ended up in New Zealand and established a US real estate portfolio, his transition and his tips when doing real estate deals off-state. Joint Ventures & Renovations the Professional Way with Hadar Orkibi Trading, developments, joint ventures and *gasp* flipping. These words conjure up images of property tycoons taking huge risks without any thought for risk management. Read More >> Nothing could be further from the truth as Hadar Orkibi tells us on this week's show. This interview began as a conversation about Joint Ventures but quickly evolved into an insiders master class on how to prepare for short-to-meduim term projects like the professionals do. 1. What are the elements of a good team to do group investments or JVs 2. What you should do before you even start looking for a property (hint: lots) 3. The expanded role your accountant, solicitor, valuer and other agents play in these situations and why you should focus more on value than cost. There is a ton of great information in this interview and we're sure you'll enjoy it. How Hadar taught himself how to invest while working in the vineyards in central otago. The power of networking with other investors - even before you have invested anything yourself. The first properties Hadar bought and his first mistake. How he leveraged the knowledge gained to undo that mistake and come back stronger. Why the Real Estate Agent Authority rule changes helped free him up to grow his business. Part 2 will be next week, enjoy the show! This is the second of a two-part interview series with Hadar Orkibi (part 1) where we speak about the challenges he overcame to go from a beginner investor to full-time property trader with a successful buy & hold portfolio in just a few short years. How Hadar researches a suburb or area he wants to invest in, builds trust and relationships with agents and gets the information he needs to make an offer. The questions he always asks an agent before pursuing a deal. How Hadar uses different media to connect with sellers and one great example of how he did really well. What Hadar looks for in a deal. Hadar's advice on what NOT to do. How to keep yourself going (because investing is hard). How Hadar manages a property from out of town. Hadar's online home is at http://www.webuyproperty.co.nz/private-house-sell/, find out more about the Tenansee property management package on the Property Genie site. Let us know what you thought of the show and/or request guests on future episodes by emailing us directly. As always we would love some feedback. A positive rating on iTunes would help us tremendously as we try to get the word out. To get weekly episodes delivered directly to your device of choice please subscribe on iTunes or Stitcher Radio (for Android). 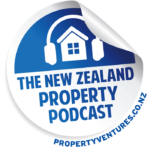 Find more information about Property Ventures and future shows make sure you register to our newsletter to get podcast episodes and property deals delivered straight to your inbox. Thanks for listening! DISCLAIMER: We need to remind you at this juncture that Property Ventures are not Financial Advisors. Any opinions expressed in these interviews are intended for educational purposes only and may not match the opinion of Property Ventures. You are always recommended to conduct your own independent due diligence before making any investment decisions. Let us know what you think of the podcast, and suggest someone we can feature in a future show. Email us directly using our contact form. Hadar discusses his future buying strategy, by looking for large development sites so he can buy and wait for the unitary plan and re-zoning, he has plans to develop sites and build 4 to 6 houses. He plans for a minimum of 15-20% gain on your capital per project and stresses the importance of due-diligence. 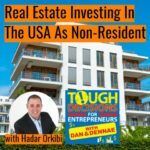 Listen to Hadar Orkibi, a successful property trader and investor making waves in the property market and building a successful portfolio. Mark and Hadar discuss how they plan their 5, 10 and 15 year goals, write them down and work out your passive income, how much do you want to earn and at what stage? They discuss how successful people usually visualise, are persistent and stay focused, don’t lose focus, keep trying and stay focused. Hanging around like minded people is so important, discuss your strategies and issues with these people, bounce ideas around and come up with creative solutions and surrounding yourself with like minded people. No matter what level you are, it really enriches you and a really good way to expand your investment strategies. The key for successful investing is to constantly educate yourself with books and podcasts and joining various property organisations. If you like what you do and do what you like then you will do well. Now is the time towards the end of year to think about your strategy, think about where you are now and think about how you move forward from that point, so have a listen to this Podcast to assist you with your planning for next year.